Did you know that medical billing in the United States of America is governed by the health insurance portability act of 1996? This is important to know since a lot of internal medicine practices are not aware of this. It is important to know that billing in healthcare is a lot different than billing for a plumbing company or other trades. When it comes to medicine, there are many things at stake. It is important to realize that your billing matters because you can either get good profits or fail at progressing in business. Internal medicine billing services are necessary in today’s world. Most billers today have complex jobs that a lot of people ask questions about. How much do you really have to know about ICD-10 in order to be successful? It is important to understand the type of software that you are using as well. If you don’t have a good idea of what to expect, then you most likely will not be able to succeed in business. 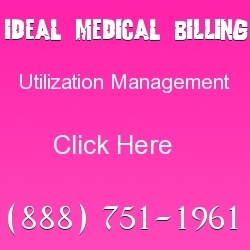 When you outsource your billing to Ideal Billing Solutions, we handle everything for you. You no longer have to worry about your claims being submitted on time. Medical billing software is often used by: insurance companies, doctors, medical billing services, secretaries and institutes. It is important to always use software that is HIPAA compliant. Electronic billing is easier because it actually helps you to cut down on errors. 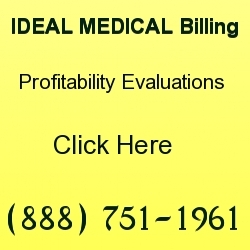 Many medical billing software’s today are custom made. If you own a dental practice or a chiropractic office, you may actually need to have your software custom built. Your needs will be different from a cardiologist. Take your time when trying to figure out who you want to work with. 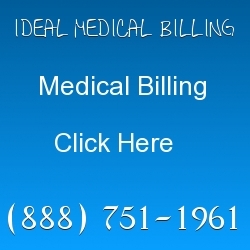 Choosing a good medical billing company takes time and a whole lot of effort. When working with Ideal Billing Solutions, you can be rest assured that the billing is handled appropriately and professionally. There are a lot of services that we take care of such as: utilization management, revenue cycle management and verification of benefits. The good news is that we charge a small fee for this service in comparison to other billing companies. You can easily access information through our service as well. Electronic billing and ICD-10 coding is our specialty. We know what our customers need and we take pride in the good results that we get for our clients. Many of our clients are: occupational therapy offices, orthopedics, pain management clinics, podiatry practices and physical therapy. It is becoming a lot more obvious that internal medicine billing services are growing. When a medical billing service helps your company to become powerful, you actually get to feel a lot more in tune with what is going on with the organization itself. You may find it easy to look at your patients knowing that your billing is being handled appropriately. It is always good news to see your medical practice functioning in such a way that it becomes profitable for you. Your main focus should be the heart. Why should you have to worry about billing not being done properly or on time? Many coders today say that ICD-10 is tough. Most people are trying to figure out how it works to your advantage. Insurance companies keep on telling coders to brush up on their coding and to get things done accordingly. When you think about it, coding is a lot like understanding your own path in life. If it is done correctly, you win every time. It is always a case of learning which codes go with what treatments. The hardest part about coding today is finding the appropriate ones for particular ailments. Once you have this down pat, everything seems to come together and work wonders. It is no wonder why everything begins to pan out for the best. It is always a good idea to allow your creative side to take over. Many cardiologists say that they studied the heart in school and continued thereafter into their own practice. However, today cardiologists are finding it difficult to manage their billing. Medical billing services for internal medicine are here to stay. It is best to attach yourself to companies that have good reputations for their billing practices. Most coders today say that they have a completely good outlook on life. They want to make sure that the codes that they are giving you are appropriate and correct. After a while, you will come to see how your revenues begin to increase. There are a lot of good books about medical billing on websites like Amazon.com. You will find that books tend to help us become more aware. You can find many books on the switch from ICD-9 to ICD-10. It is all just a matter of time in order to see positive results happening on a regular basis. Always try to figure out the truth behind what is happening with your overall billing. Giving yourself regular audits also helps your practice to gain trust and recognition. It is important to have your employees working with a coding system that has been proven to work effectively. Most people see ICD-10 as a way to understanding healthcare today. 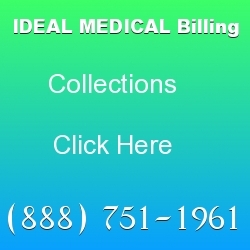 Ideal Billing Solutions helps internal medicine doctors to find which software works best for them and why. The methods that we use are actually helpful for hospitals, rehabs and treatment centers. We are happy to assist our clients with any question that they may have in regards to the steps that we take. We work on every single claim until it is paid to you. Most of our claims get paid within 30 days and we give you a full report. We handle your utilization management and revenue cycle management. You will find that doctors that work with us end up saving money and time.